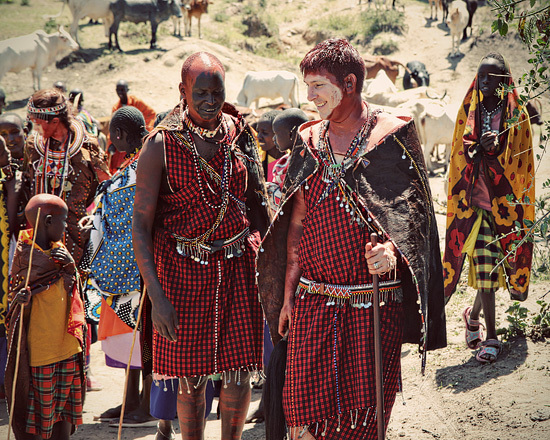 We return to â€œcivilizationâ€ today not as â€œApril Malina Niedle and Jason Niedle,â€ but as â€œSaruni Ole Mpeti and Nasieku Nne Mpeti.â€ These are the names that have been given us by Kenyaâ€™s historic Maasai tribe in our unbelievable ceremony with them. They have adopted us into their culture, and so I return with a new brother and friend, and April with a new sister and friend, and all of us with new family, from a ceremony that was as traditional as it was deep. And while I would love now to tell the bittersweet tale of finding new family overnight, and departing from them just as quickly, I am severely lacking sleep and still needing to book a hotel in Athens, download 1000+ photos, and choose a few photos quickly to post below. We are currently at Mara Serena for our last night in Kenya before heading out via Emirates to Dubai. We are safe. We are happy. We miss our new family, but they have also left us many things to think about with you, our existing family and community. 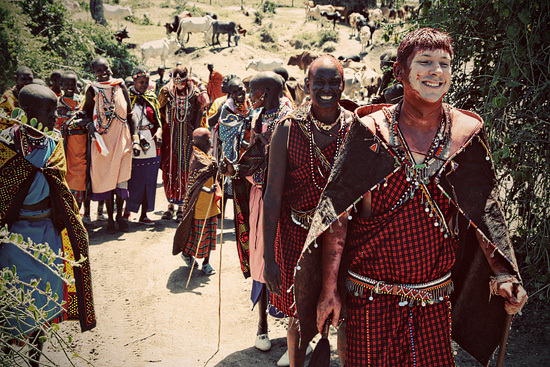 For now, a couple of photos from our Maasai ceremony. How cool was that? Incredible photos, ( once in a lifetime), and that was just one of your “stops”. Can’t wait to take a week to hear all the stories.